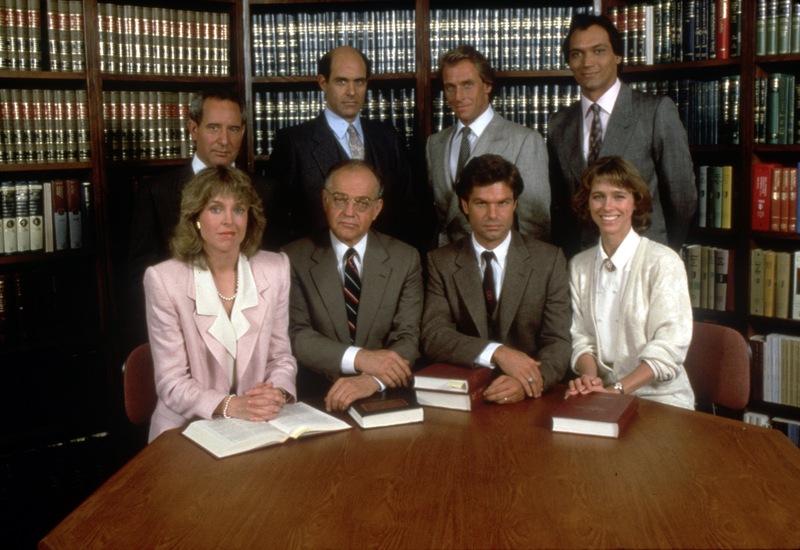 The 2nd half of L.A. Law got off to a good start and while they may not have been the best episodes of the series we are seeing more and more development of things to come in not just the remainder of the season, but future seasons. The 2nd half was a bit more consistent, though like any full season there were a couple of weaker episodes here as well. The 2nd half had a lot of great character moments and Roxanne who in the first half was more or less there begins to get more depth. Roxanne along with Kuzak and Brackman is my favorite as there’s something sweet and lovable about Roxanne and it was nice to see her get more character moments. During the course of season 1 it went from a good show to a great show and things would get better over the course of the series. Season 1 isn’t perfect, but its a terrific season when all is said and done. 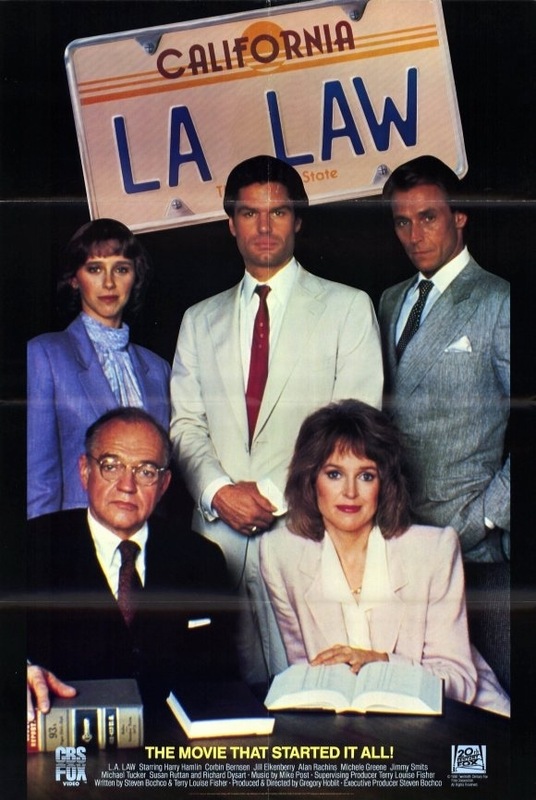 L.A. Law was never released on DVD in the States until February 25th, 2014 when Shout Factory finally put it out and as I watch the first season what surprises me is how well the series holds up. Obviously certain things will be dated such as styles (clothes, hair). But the actual show holds up well and I think the show as written wouldn’t feel out of place and if anything only minor touch ups would be needed. Really the only thing that would hurt the show is how many times its been borrowed from with other shows. Here are some of the major plots of the 2nd half. 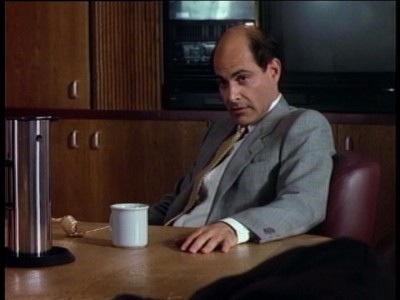 After the suicide of fellow lawyer Sid Hershberg (Thomas Ryan), Kuzak takes up his cases and the pressure of being overworked gets to him. 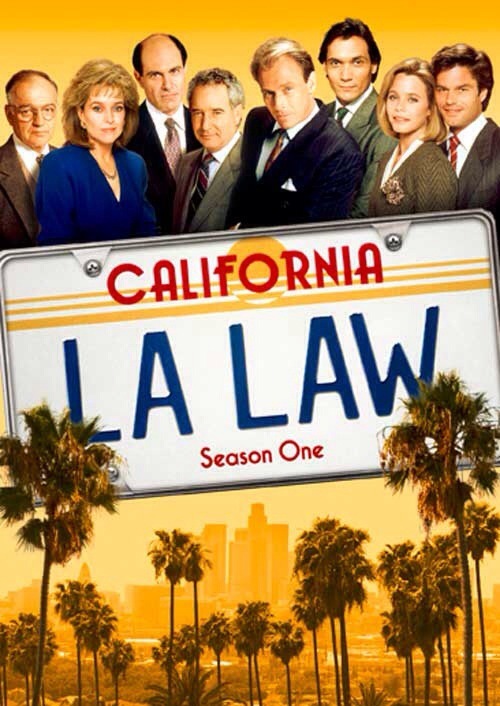 Thomas Ryan would later return to L.A. Law during its 8th and final season for one episode playing another character of course. Douglas finds himself in hot water when his wife Sheila finds out he’s cheating and wants a divorce. The relationship between Douglas and Sheila while dysfunctional was also quite hysterical and added a lot of fun moments over the course of not just season 1, but future seasons. The role of Sheila Brackman was played by Joanna Frank who is also Alan Rachins’ real life wife. She’s also the older sister of Steven Bochco. Kelsey gets a big time client and a win could score millions for the firm. Stuart is jealous of the time Kelsey is spending with her client which puts a slight rift on their relationship. Victor confronts a judge that seems to let white people off on lighter sentences than he does minorities. However the judge has some stats to show Victor on he handles his cases when it comes to Hispanics. Abby has a first solo appearance in court and it goes poorly and she begins to question herself on if she’s good enough to be a trial lawyer. Victor tries to cheer her up and Douglas gets involved and Victor tries to stop him, but to his surprise, Brackman offers words of encouragement. Victor passes over a case to Abby set for trial after some self doubt she ends up taking it and represents Benny Stulwicz a mentally challenged man accused of assault and robbery. The firm mulls over a deal with a NY firm for a mergence. Kelsey, Becker and Brackman are for it while Stuart and Kuzak oppose. Grace finally gets out of night court detail and her first case back in day court is prosecuting a man accused of stealing bull seaman in a truly hysterical case! 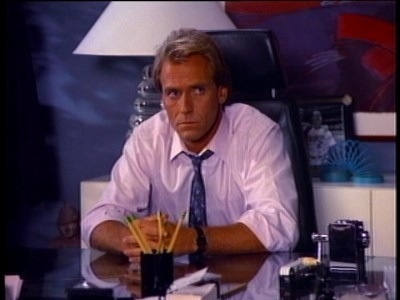 Becker’s scheming ways backfires as his client ends up shooting and wounding her husband and this was a big character moment for Becker as we see again as much of a jerk he can be he’s also caring. For all she does for Becker at the firm as well as personal errands, Roxanne asks for a raise, but Becker refuses, which causes a rift between them. Grace gets a guilty verdict on a gang member for murder and seeks the death penalty. A hit is than put out on Grace. Unhappy with getting older and being bald, Brackman gets a hair piece, but it doesn’t last long since he’s met with laughter. Brackman gets into a dispute with a neighbor who is suing him over the excessive barking of his dog. 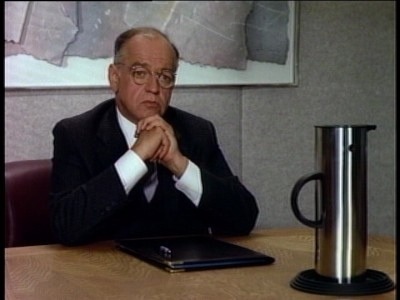 Brackman wins his case, but later finds his dog poisoned. Kuzak takes a case where a woman claims she was date raped by a college basketball star and Kuzak is urged to settle since its a no win, but he forges ahead, but even Kuzak wonders if his client shares some of the blame until another woman comes forward claiming the same guy raped her. Here are my ratings for the 2nd half episodes. This episode would introduce Larry Drake as Benny Stulwicz. Drake would become a series regular in season 2 and remain with the show throughout its run.